I was the child of a mother of an era that believed young girls should not wear black. And for a long while since she did pay for my wardrobe for a time, I did not have any black clothing save for a a pair of jeans, and a likely a pair of dress pants and skirt. It was fine as a trade off as I pretty much refused to wear pink until more recent times. While this is a photo prompt, likely due to the fact that it is “Black Friday” in the USA, and now north of the border and across the oceans now. A friend of mine nominated me to participate in a Black and White photo challenge. Each day, I was to post a photo in black and white, and nominate a different person to participate each day for 5 days in a row. I grew up seeing a few family albums in black and white, and I am sure, like many, re-discovered them when I saw Ansel Adams photographic prints. I love colour and usually post my photos in full on and sometimes highlight the colour so it was a challenge to find photos that I had taken that would show as well, and in some cases perhaps even better, in black and white. I love this…Place! 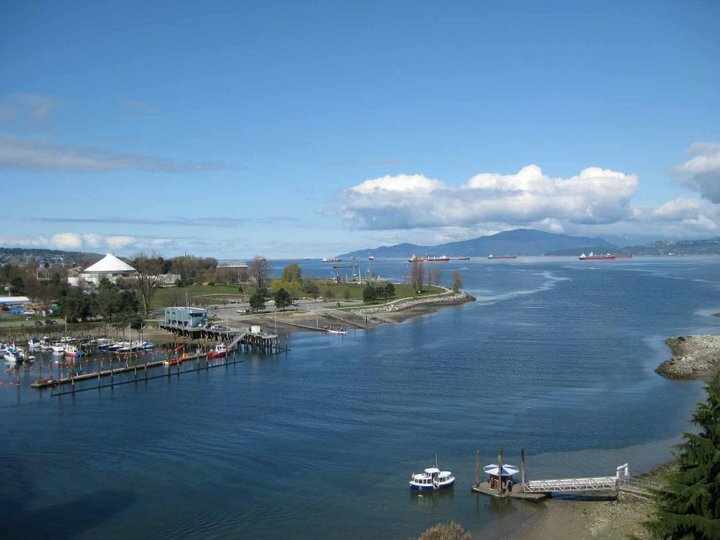 It’s my home – Vancouver, British Columbia, Canada. I never tire of the view or appreciate the natural beauty. View of English Bay to Georgia Strait; taken from the Burrard Street Bridge; Granville Island Ferry in foreground right, HR MacMIllan Space Centre in Vanier Park on the right. I never tire of this video from Tourism Vancouver either. I hope you enjoy and that you might be able to visit one day and experience it for yourself one day.